The sound of the oboe carries through the evening, a melancholic invitation to come now. He has told his mother that he must be in the bandstand; something about fresh air and breathing technique. His mother likes that he is practicing. At the first note, gliding in through her open window, she stirs and tells her mother she’s going to the meadow with the old portable gramophone, to dance. Her mother likes that her daughter is imaginative. At the bandstand, in the dusk, she winds up the gramophone. And while Bach’s Partita for solo oboe plays out into the night, they practice, together. This is a 100-word(ish) story for Friday Fictioneers brought to us by the wonderful writer Rochelle Wisoff-Fields, and the picture this week is supplied by the fantastic writer, David Stewart. Click here to join in with Friday Fictioneers, or here to read other people’s. 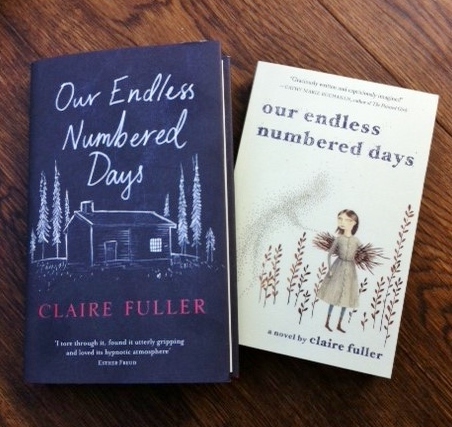 Until Sunday readers in the US can win a signed copy of the UK version (left) of my novel, Our Endless Numbered Days; and readers in the UK can win a signed copy of the US version (right). The competition is running on Twitter and Facebook. Click the links and follow the instructions to enter. Good luck! I always enjoy these but this one is particularly fine. Thank you! Thanks Susan. Finally, a happy one! Thanks for all your tweets. This really is beautiful, though I confess to needing several readings to follow the sequence of events. Nicely done, as always. Ah, sorry about that. Thanks for persevering! Can see some folk thinking, eh? But I’m there…not watching, no, there with your idea. Sad thing is nowadays this pair would just talk on Skype and go to the pub. Sweet, sweet music , but you know some mothers can tell the difference between practising and a faultless performance and nevertheless turn a deaf ear. Too true! Thanks for reading and commenting. “The call of the wild” through windows and hearts. This is beautiful. Thanks Alicia. The call of the wild is a great phrase. This is such a sweet beautiful story. I read it several times and liked it even more each time I read it. I love everything about this: the title, the teenagers fooling their mothers, the portable gramophone. Brilliant piece of flash, Claire! A wonderfully written story and a lovely ending! Thanks Francesca. Glad you liked it. Thanks Nan. Your comments are much appreciated. From the very first sentence I was lost in the night with you and your two music lovers. I read it four times because of the way it sounded, flowing sweetly and mysteriously and carrying me away. So beautiful to be transported by your words. Thanks Doug. Glad it touched you. I like how yoou’ve structured this story – very nice balance. These two young people will be enjoying their practice more than most, I suspect. That was wonderful. This time, I did see it coming. Oh! I do like this lovely, lyrical tale! So romantic, so visual, just so… perfect. Big thumbs up on this one. Thanks, Kate. This one does seem to have gone down well. I should try to write ‘happy’ more often! Oh I love it! That’s marvelous. That melody was beautifully drawn together – loved it. Thanks, Liz; for reading and commenting. Ooh . . . Well, they say practice makes perfect. This is a perfect snippet of suggestive material, the sort that leaves me wanting more. Nicely handled, Claire. Hah! Glad you liked it! It certainly is. Thanks, Hilary. I can’t play an instrument or sing very well, but music is part of me. Glad you’re still enjoying Punzel! I’m the same way with music… can’t get by without it. Such a sweet and melodious piece. Beautifully written, I enjoyed sharing their practice sessions. 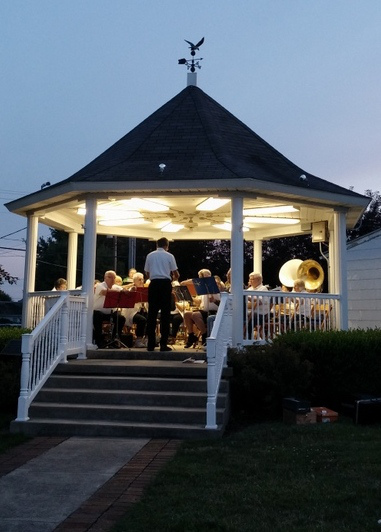 A musical rendezvous… nicely done. Yes, the music of love. No blame in this story. Just young love. Nostalgic and innocent. I like it. Thanks, Tracey. Glad you liked it. That kind of meeting went out with the gramophone. There would probably be a curfew these days, but it’s sweet to look back at small towns with so little crime to worry about. Doors weren’t even locked in some places. Well done as always, Claire. I know, it’s kind of sad that it just won’t happen like that. As Paul said in an earlier post, these days they’ll probably just Skype. Wonderfully done, such an enchanting story. Beautiful story Claire. I read it a few times too because I liked it so much. Love their excuses for sneaking out. The innocence of young love, you described it so beautifully.